The University Of Winnipeg in Manitoba recently tested students to see if their texting habits made a difference to the way they thought. In one part of the study, 2,300 first-year psychology students completed one-hour online surveys. The survey asked about what they thought was important to them as well as how often they texted. The study found that those who texted more than 100 times a day were more interested in being rich and famous than those who texted 50 times or fewer each day. To heavy texters, an ethical or a moral life was not as important as those who texted 50 or fewer times a day. Ethics are beliefs and ideas that guide a person’s honest, decent and fair thoughts and behaviour. Another part of the study tested how students felt about different social, racial and ethnic groups. In this part, some students texted, some spoke on cellphones and some did neither. Those who texted rated minority groups more negatively than the others, according to the researchers. At the end of this study, the researchers thought that those who texted frequently may be less thoughtful than those who texted less often. But in spite of these findings, the researchers said, there’s no reason yet to equate texting and other social media use as indicators of shallow thinking. What do you think about these findings? Do you think they are accurate? Do you think they are significant? Why or why not? Do you text? If so, how often do you send messages? Do you think how often you send messages says anything about you? 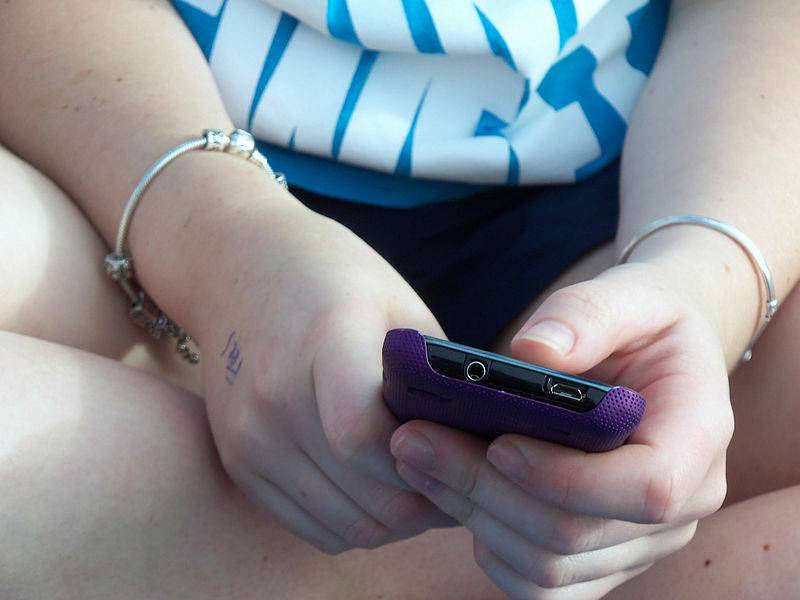 Why do you think the researchers studied how often people text instead of what people write? Extend understanding of texts by connecting, comparing, and contrasting the ideas in them to their own knowledge, experience, and insights, to other familiar texts, and to the world around them (OME, Reading: 1.6). The language used in this sentence is quite sophisticated. While students in Grades 6-8 may understand it, many younger kids wouldn’t. Use synonyms to re-write this sentence so a student in Grade 3 could understand it. Author: Nancy MillerNancy is a partner with TKN and a writer.